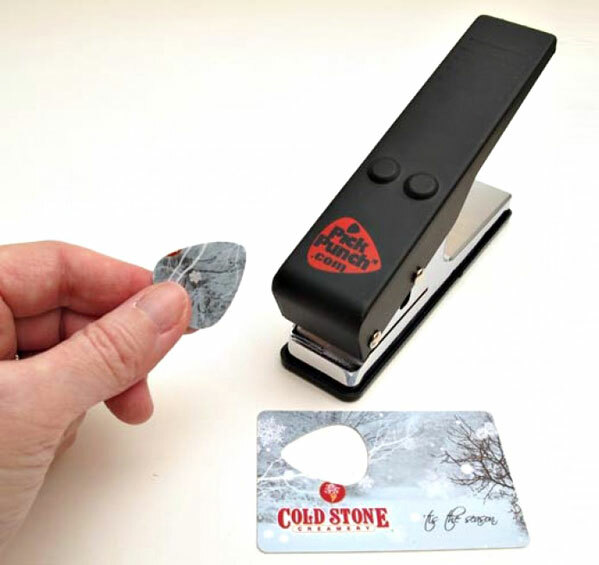 With the guitar pick punch you can make a guitar pick out of many different things and materials such as old credit cards, ID cards, hotel cards, gift cards, or really any sort of hard plastic material, just put whatever you want punched into the pick punch and you have yourself a new guitar pick. 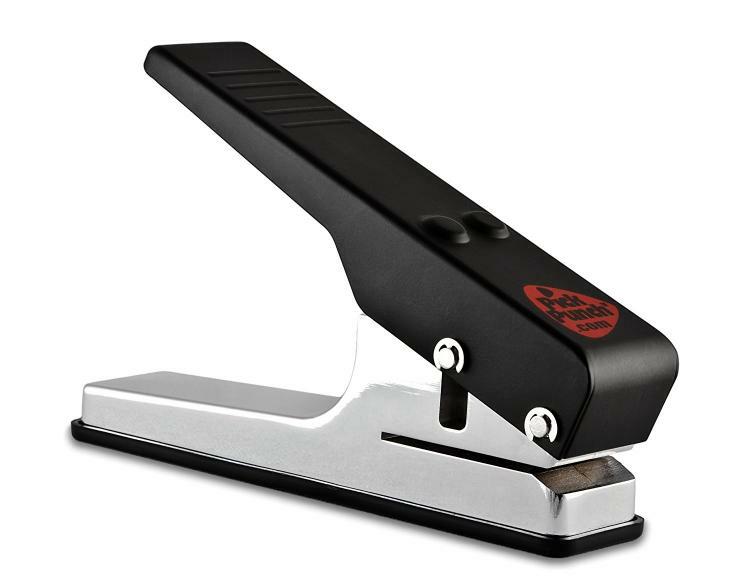 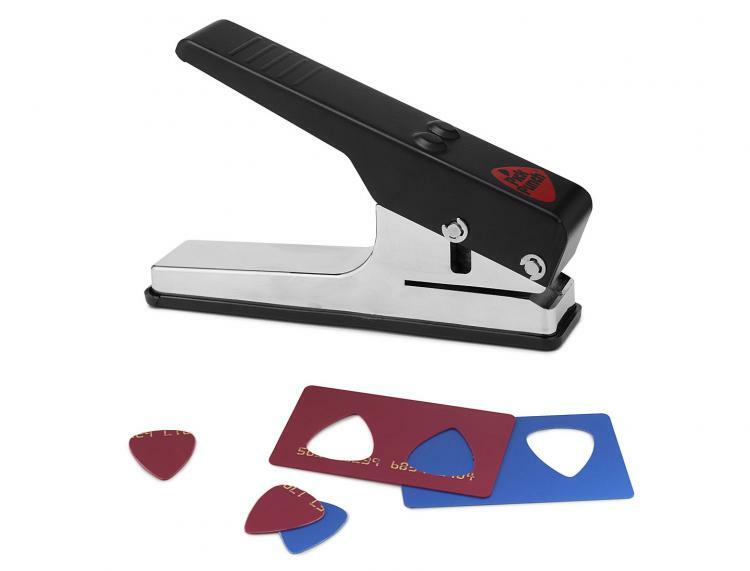 The guitar pick punch is a great gift for guitar players, bass players, or anyone who enjoys a good pick, is great for recycling, and punches standard 351 shaped guitar picks. 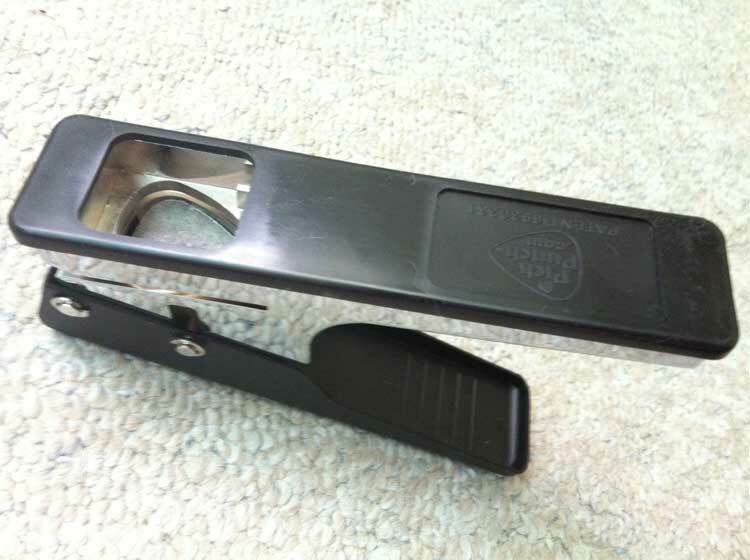 The bottom of the guitar punch is open so that you can see exactly what and where you are punching. 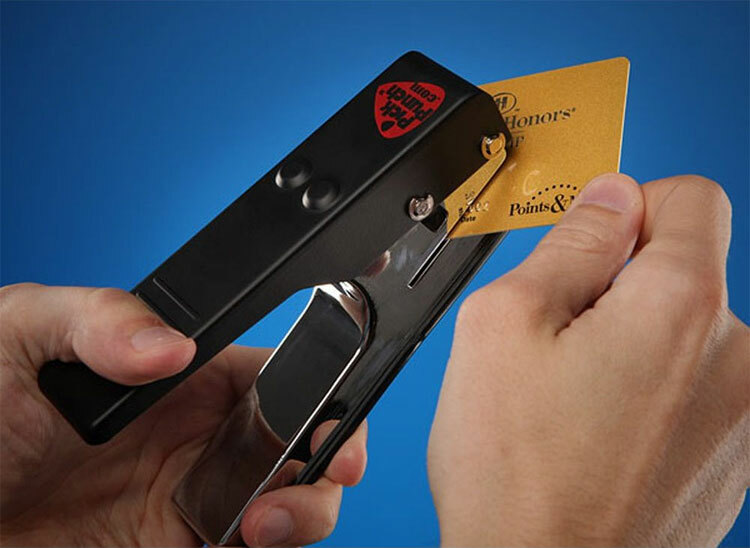 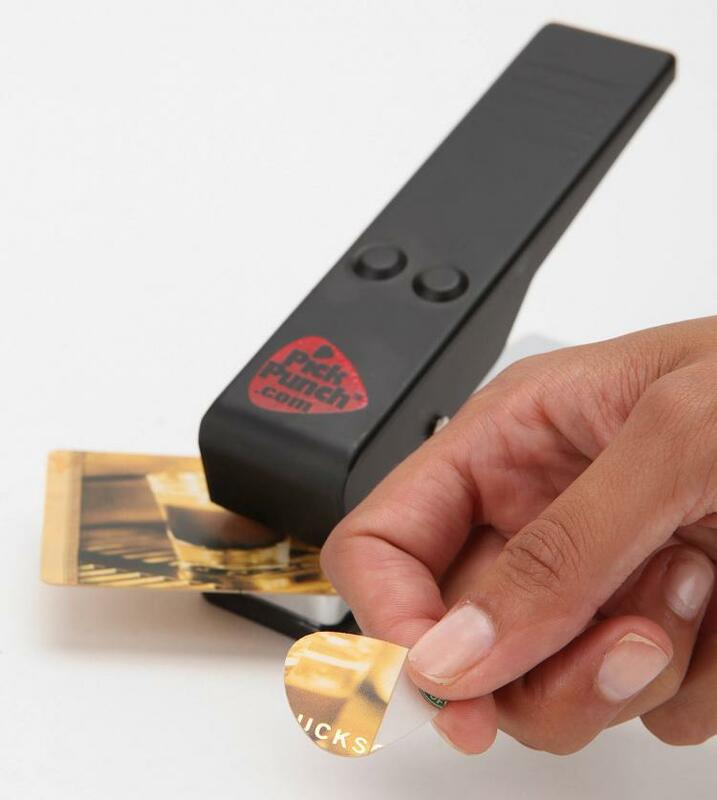 A perfect DIY use for recycling old plastic cards you don't need anymore, the pick punch is a super heavy-duty tool that's built to last, has an easy front loading design, and weighs 1.3 lbs, and measures 6.2 inches long x 4 inches tall x 1.5 inches wide. 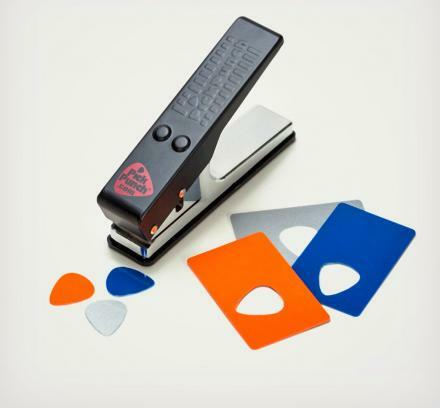 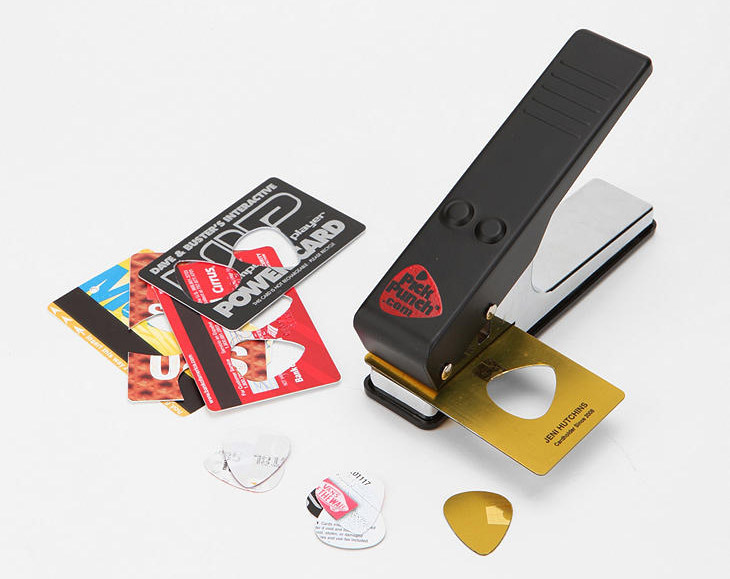 The guitar pick punch comes in a few different versions, one of which is just a stand-alone guitar pick punch, whereas the gift set pick punch comes with a set of cards that you can use to create picks right away along with a pick holder. 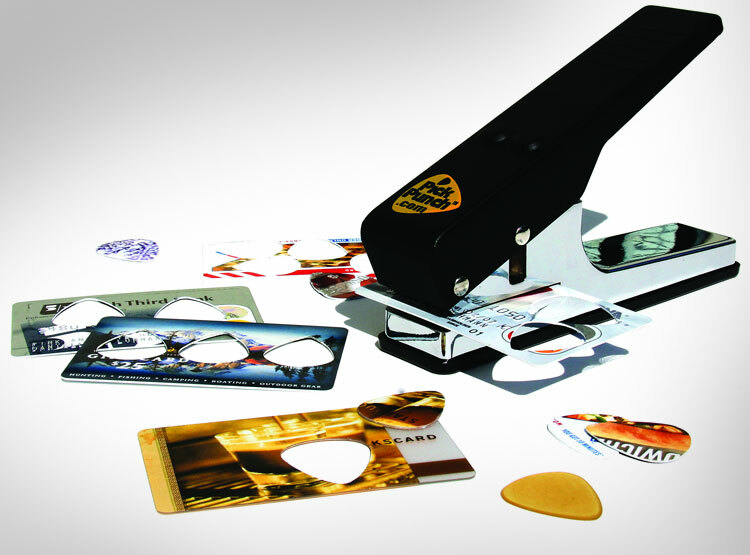 There's also another version of the pick punch that creates 355 triangle shaped guitar picks. 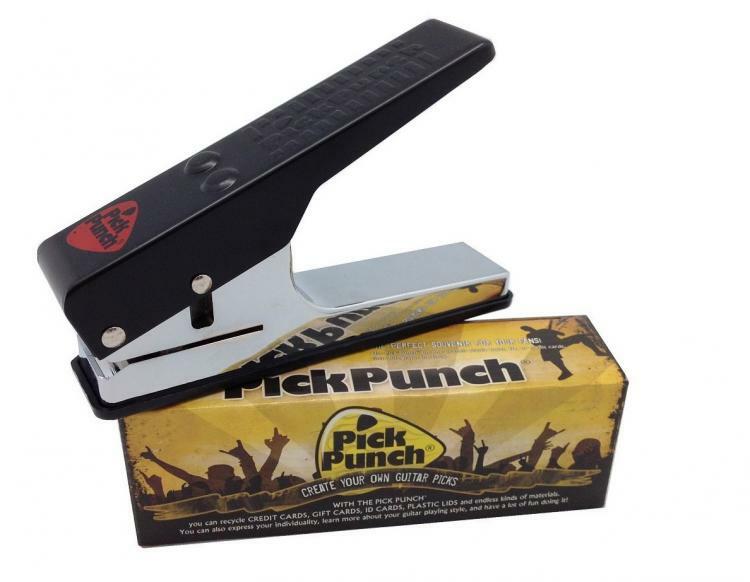 Check out the Guitar Pick Punch in action via the video below.